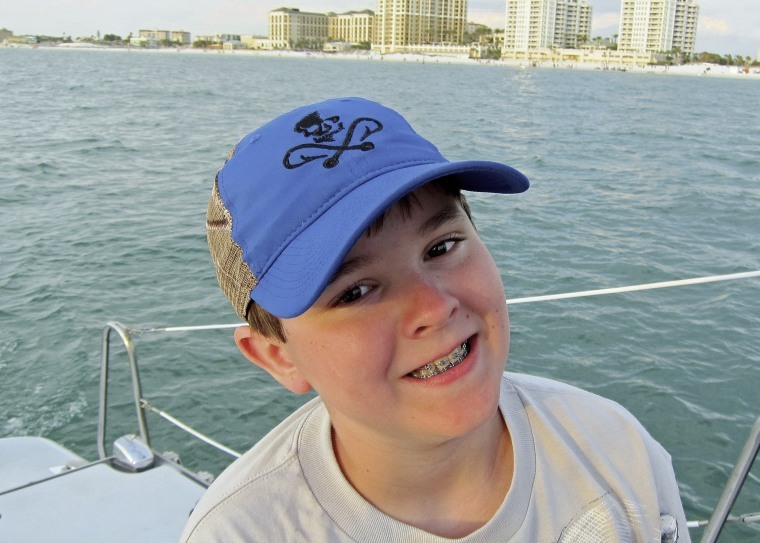 Three years after their 12-year-old son killed himself, a New York couple is pushing for a law that would require schools to notify parents of bullying. Richard and Christine Taras knew their soft-spoken son had been picked on by a school bus bully. But they were unaware of the more extensive torment Jacobe endured in school hallways until the day the 12-year-old middle schooler killed himself with his father’s shotgun. At least eight states currently have laws requiring that schools notify parents when their child is being bullied or is bullying other kids. But such policies have come under attack from LGBTQ advocates who argue that schools officials could inadvertently be put in the position of outing gay, lesbian or transgender pupils to their parents. And such students may avoid reporting bullying to officials for fear of having their parents told. Jacobe’s bedroom remains as he left it, filled with things showing his love for the outdoors — a mounted deer head, a tree painted on the wall above the bed, a miniature canoe on the dresser.